Do you want to learn how ATLAS.ti can help your qualitative data analysis? 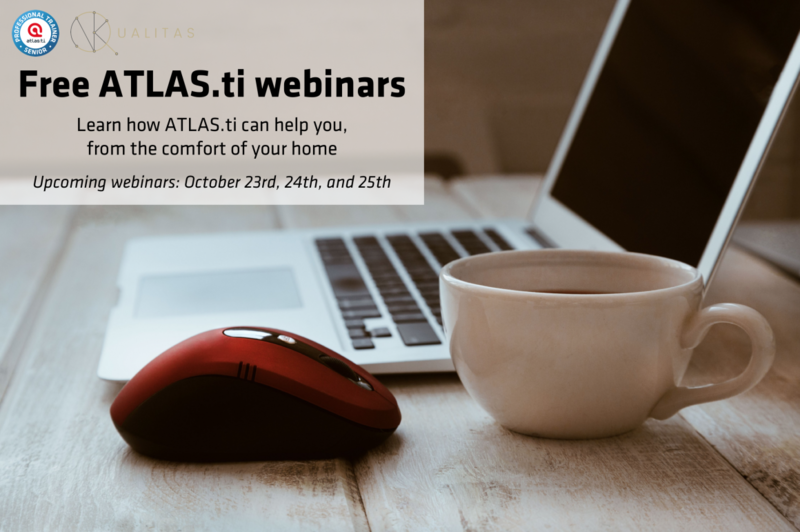 Attend any of our free webinars for a global overview of the software or to learn about different ways in which you can take advantage of the tools of ATLAS.ti. We offer free webinars every month, during which we give a live demonstration of the software, and at the end, we are happy to answer any questions you may have.